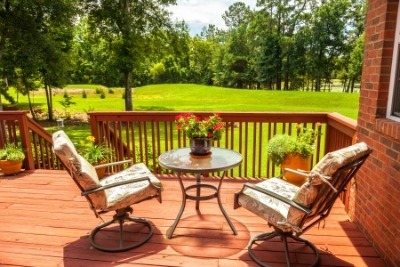 Kentucky seasons can be enjoyed with a beautiful outdoor deck, gazebo, pagoda, or porch. And All-Pro of Kentucky can help bring that dream to life. Or if you have a deck that needs some boards replaced, or some railings reinforced, or if you want the entire deck replaced, contact us for a quote. For fast work and spotless clean-up at the end of the project, you will be satisfied with your new value-enhancing outdoor structure. For a free, no obligation quote, contact All-Pro of Kentucky today! 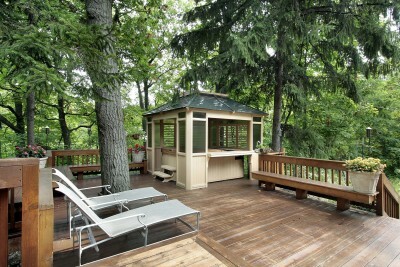 All-Pro of Kentucky constructs decks using only high quality materials to become an extension of your living space. Our team will work with you to help custom design your outdoor living area and sundeck to meet your desired specifications. We will work closely with you through every step of the design and construction process. And we make sure to work within your budget in order to create a customized outdoor living space of your dreams that suits or exceeds your expectations. Call today for a free in-home consultation and estimate.